More and more of my work within data quality and Master Data Management (MDM) is around data governance. One side of data governance is the organizational issues and the roles of people involved. Data Steward: This is a good role in my eyes and how you select and empower data stewards is in my experience often the difference between failure and success. 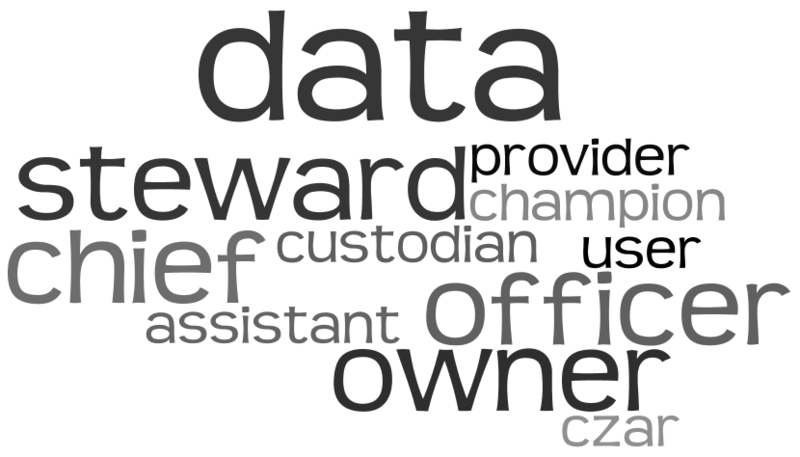 Data stewards are in most cases already known in the organization as data champions and subject matter experts. A successful data governance program lays out the organizational structure for the of work data stewards and supply the means for the data stewards in the daily struggle for maintaining an optimal degree of data quality. Data Owner: I don’t like the term data owner as told and discussed several years ago in the post Bad Word:? Data Owner. The existence of data owners is unfortunately why we need data governance. Data owners are heads of data silos. Especially when it comes to master data the problem is that data owners and data silos makes it difficult to look at data as an enterprise asset. Chief Data Officer (CDO): This is a relatively new term but we have had the concept for many years earlier for example known as a data czar. We need such a person because data owners are bad for the idea of data being an enterprise asset. But how long will CDOs remain in office compared to data owners? Not long I’m afraid.